We were only three angry high school girls, to begin with. Alix, the hot-tempered surfer chick; Stephanie, the tree-hugging activist; and me, Meg, the quiet foster kid, the one who never quite fit in. We hardly knew each other, but each of us nurtured a burning anger: at the jerks in our class, at our disappointing parents, at the whole flawed, unjust world. We were only three angry girls, simmering uselessly in our ocean-side California town, until one day a mysterious, beautiful classmate named Ambrosia taught us what else we could be: Powerful. Deadly. Furious. Yes, that’s us. The three Greek Furies, come to life, ready to take our revenge on everyone who deserves it. And who doesn’t deserve it, really? We’re done with chances. We are angry. The Furies have come to town. Look what's here! Galleys for Furious. 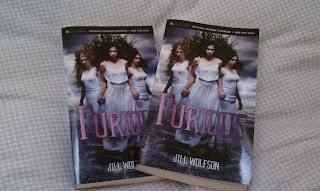 If you are a blogger or reviewer and want an ARC, let me know and I'll ask my publicist to send one your way. Yippee. 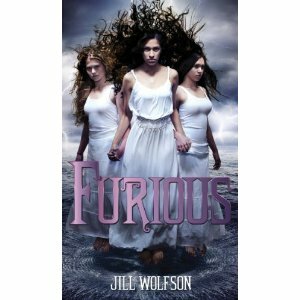 My newest YA novel, Furious, has a pub date. April 16, 2013. And a cover. It's always exciting -- and a little unnerving -- to see what someone else's vision of what I wrote. Love it?